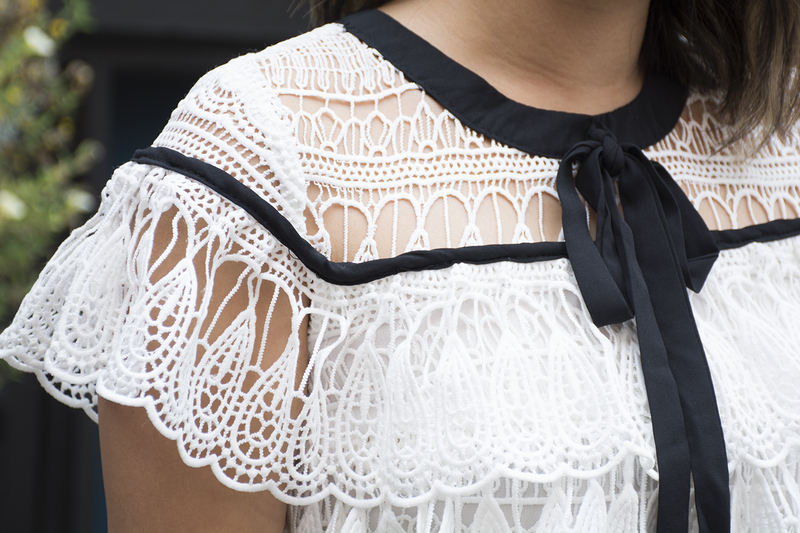 Crochet lace dress from Boohoo. 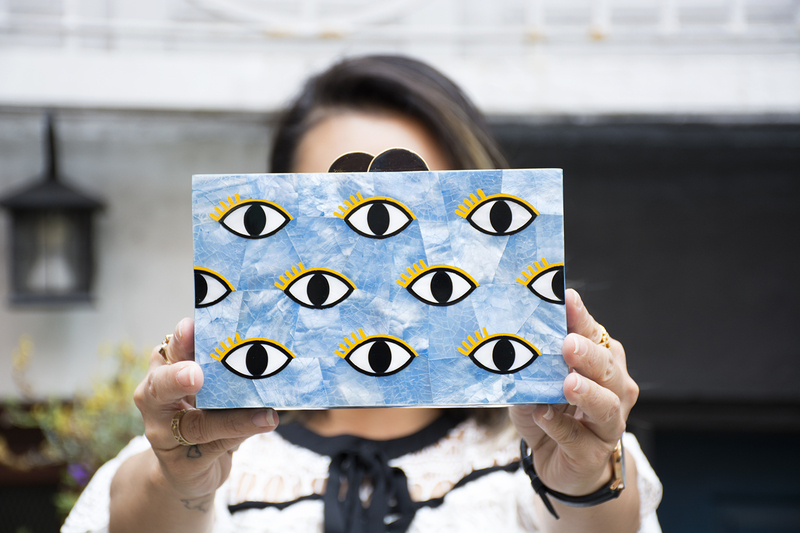 Eye clutch (designed by me in collaboration with KAYU, read about it here) c/o KAYU. Scalloped heels c/o De Blossom Collection.